Peach season is almost over, and I have to say, I can’t get enough of it. I hardly ever do. 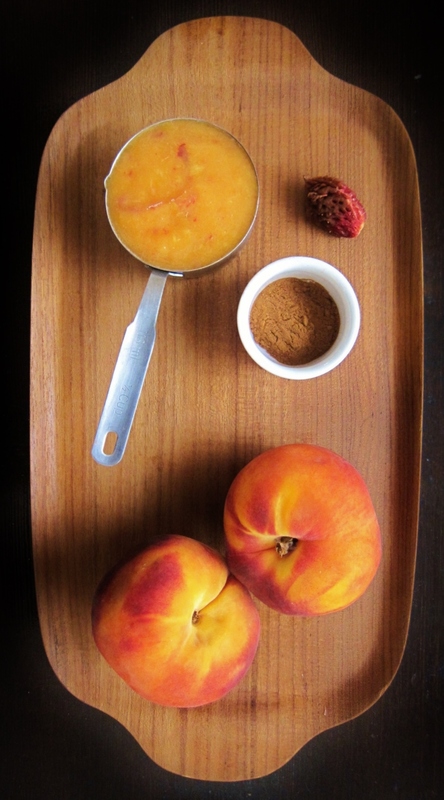 There’s something that sings summertime when I bite into a fresh, ripe peach. Tart, sweet and juicy, the fruit is as delicious as it is elusive: disappearing quickly into one’s belly as fast as its season seems to vanish into the autumn months. 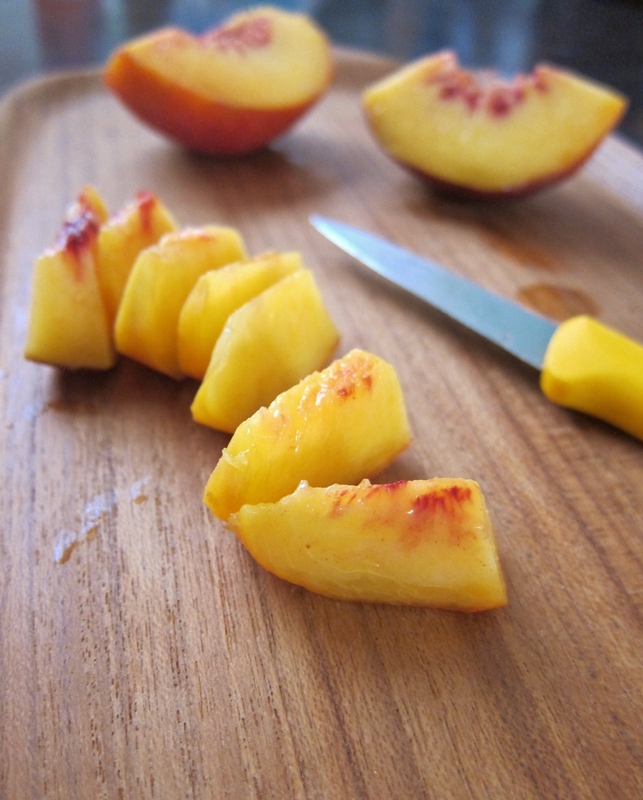 White peaches, yellow peaches, saturn peaches — they are all as beautiful and fragrant as they are scrumptious. So it’s no wonder my husband requested a peach cake for his birthday a few weeks ago. I quite joyfully baked and decorated it, but something about the outcome left a more laid-back version of the dessert on my mind. Maybe it was the richness of the towering slices — the denseness of the moist layers. Or maybe it was the civilized practice of eating the cake with a fork, at a moment when I really wanted to put up my bare feet and eat with my hands, summer-style. 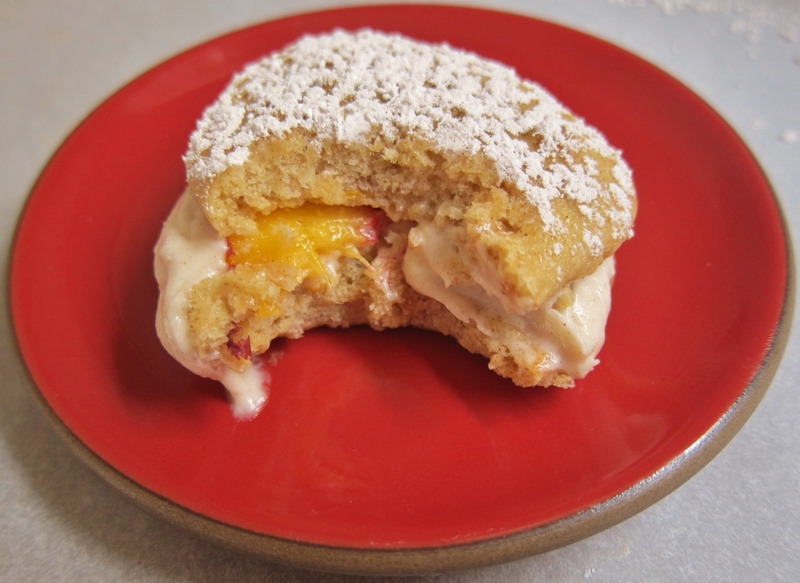 In this casual spirit, I came up with a fork-free peach dessert that’s the best of a cookie and a cake in one. The soft, cinnamony mini-cakes envelop rich cream cheese filling and a burst of sliced peach in every bite. 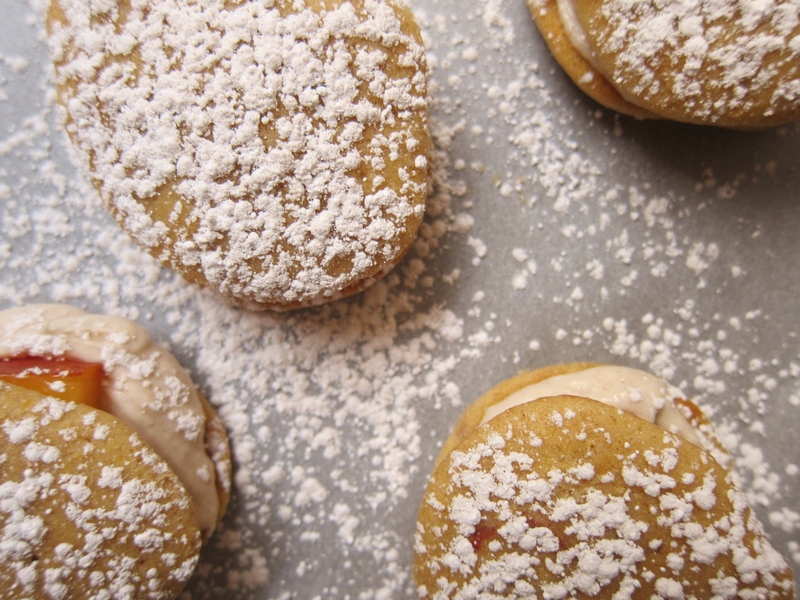 Dusted with powdered sugar and cinnamon, this whoopie-pie-style treat is creamy, tangy, juicy and spicy: a symphony of deliciousness to celebrate the summer, even if it’s soon to end. Here is the recipe. 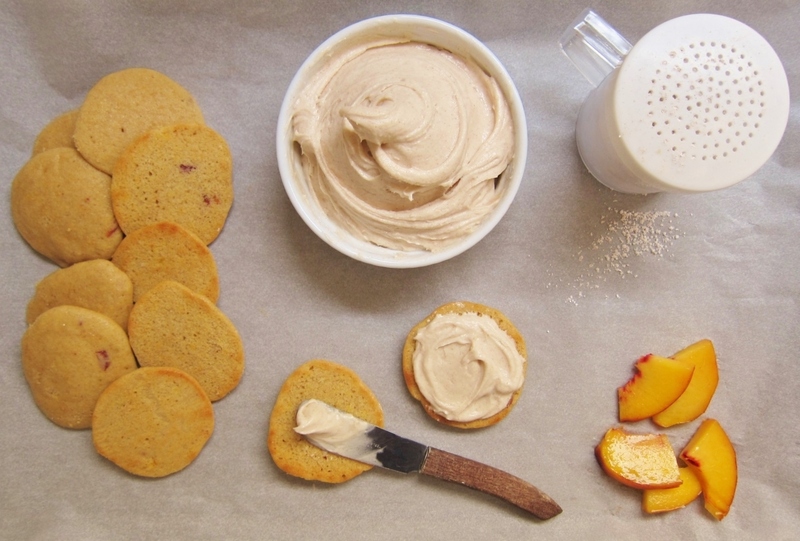 When ready to assemble the cookies, rinse and pit the peach, then slice it into at least 14 thin pieces that will fit inside the cookie sandwiches (you will have leftover peach to use as you please). 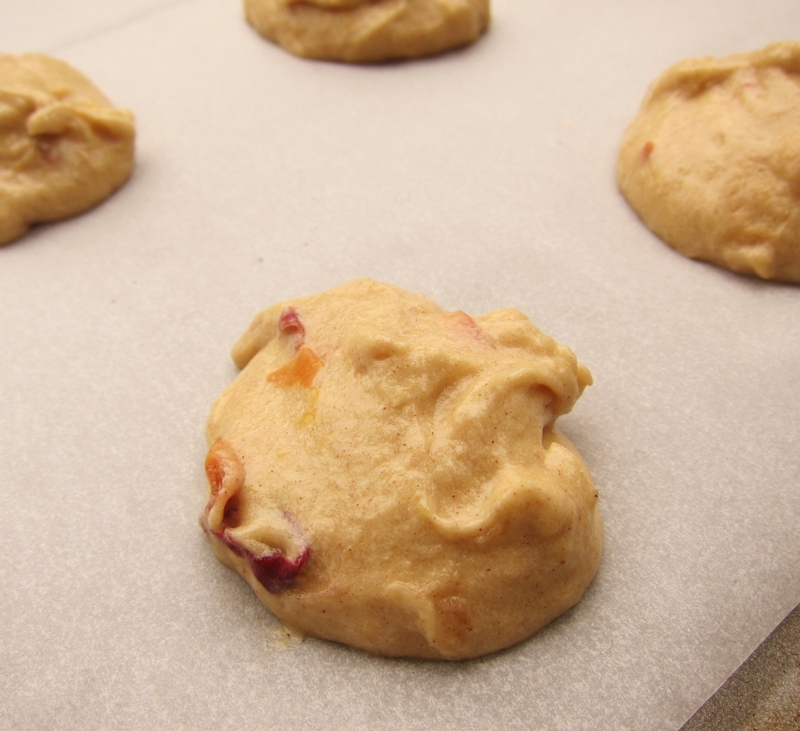 Spread at least a heaping tablespoon of filling on the bottoms of half of the cookies, and top each one with a peach slice. 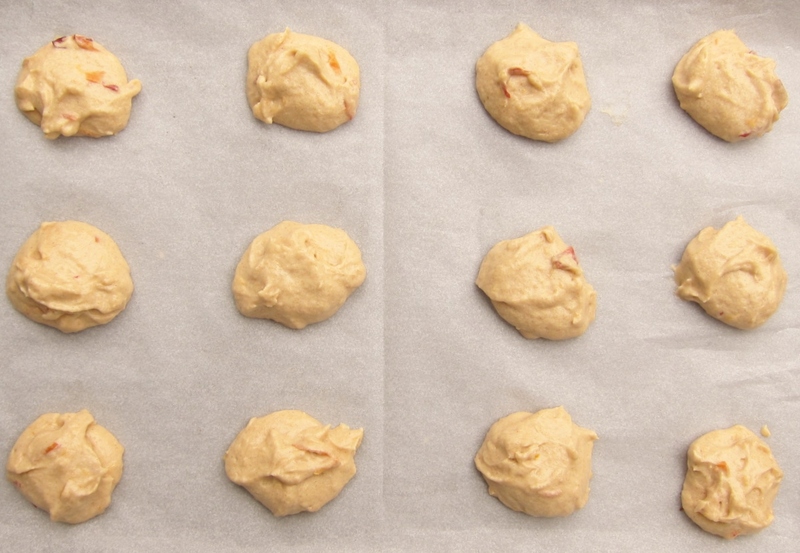 Put a dab of frosting on each of the remaining cookies’ bottoms, and top the peach slice with it. If desired, sprinkle tops with a mixture of cinnamon and powdered sugar, and serve in paper cupcake liners. For best results, store your sandwich cakes in the fridge and eat within a day. 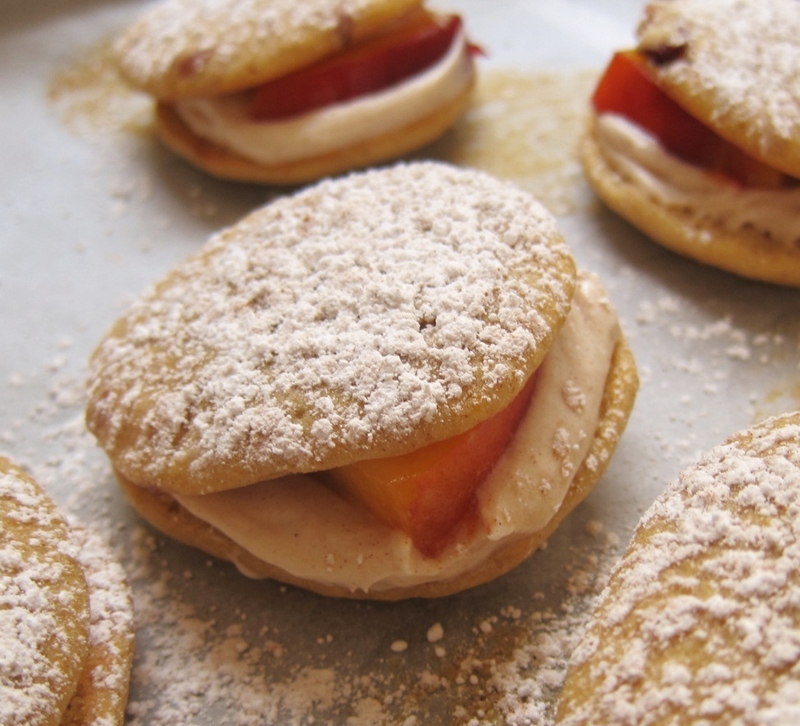 Delicate and decadent at once, cinnamon peach sandwich cookies are soft, spicy and succulent. Full of lively flavor, these tender treats taste like a fancy dessert in a relaxed format: fruity little cakes to eat with your hands. Of course, you can still dress them up and serve them on a cake stand; I promise they’ll taste wonderful either way. Maybe next time… These cookies would be just as delicious with brown sugar in the batter instead of white, and would be wonderful with a variety of spices in addition to cinnamon (ground cloves, nutmeg, allspice, ginger, etc.). Finely grated lemon, lime, or orange zest might also add a nice zing to the batter. 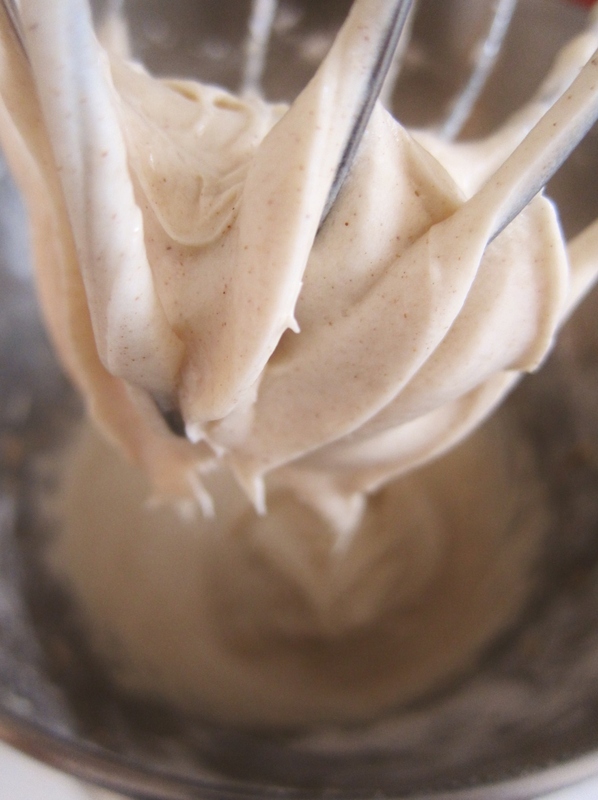 You will end up with extra filling; it freezes well, can act as a delectable frosting, and is a decadent treat on warm toast. 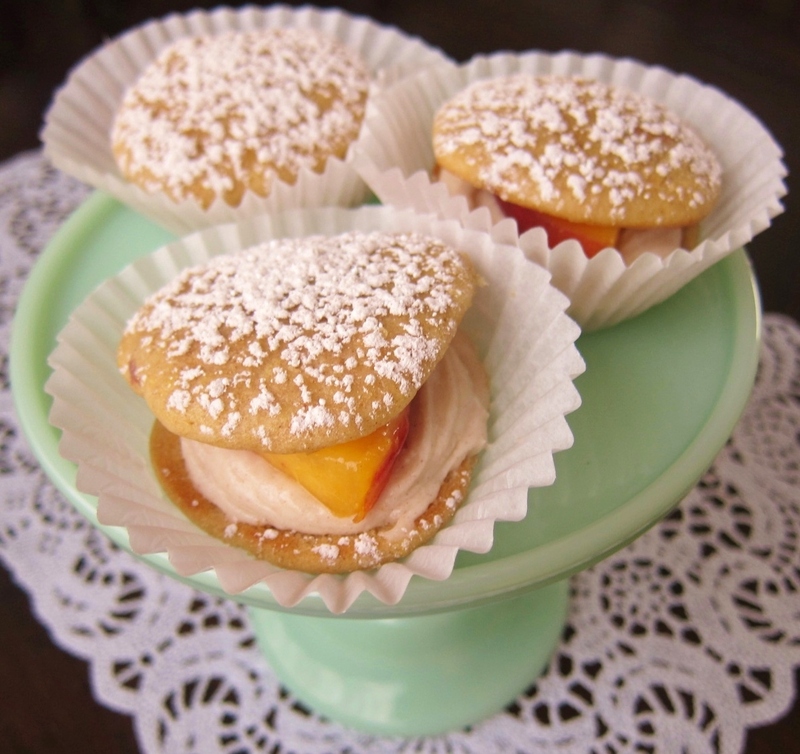 This entry was posted in Cakes & Cupcakes, Cookies & Bars, Sweets, Traditional with a Twist and tagged baking, cinnamon, cream cheese, dessert, fresh peach, peach, peaches, recipe, sandwich cookie, seasonal, summer, summertime, whoopie pie. Bookmark the permalink. Oh boy, this looks like a definite winner. I was drooling all over the keyboard just reading “cinnamon & peach”. You certainly do come up with some of the most creative, scrumptious ideas. Those look so summery…and delicious!!! Thank you, sweet Erica! Here’s to a delicious summer! Oh my goodness, the combination of cookie and cake is nothing less than a revelation! These are gorgeous and so very tempting!